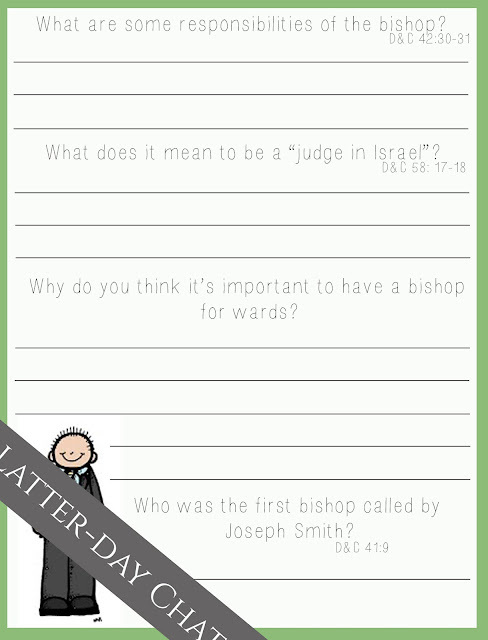 For this lesson, I asked the bishop to come in and share his favorite thing about being bishop. After he left, I brought out stickers and crayons/markers and some paper for the kids to make a card or whatever for the bishop. The kids loved that part and you should have seen the face of the bishop when the kids all handed him their cards, PRICELESS.